Can you believe that [hpux735] pulled this satellite weather image down from one of the National Oceanic and Atmospheric Administration’s weather satellites using home equipment? It turns out that they’ve got three weather satellites in low earth orbit that pass overhead a few times a day. If you’ve got some homebrew hardware and post processing chops you can grab your own images from these weather satellites. The first step is data acquisition. [hpux735] used a software defined radio receiver that he built from a kit. This makes us think back to the software-radio project that [Jeri Ellsworth] built using an FPGA–could that be adapted for this purpose? But we digress. To record the incoming data a Mac program called DSP Radio was used. Once you do capture an audio sample, you’ll need something to turn it into an image. It just so happens there’s a program specifically for weather image decoding called WXtoImg, and another which runs under Linux called WXAPT. Throw in a little post processing, Robert’s your mother’s brother, and you’ve got the image seen above. [Hpux735] mentioned that he’s working on a post about the antenna he built for the project and has future plans for an automated system where he’ll have a webpage that always shows the most current image. We’re looking forward hearing about that. In a project that you’re sure to read about in police blotter someday, [Jair2k4] built a pair of Taser gloves that will shock your victim with they laying-on of hands. Not surprisingly, this project was spawned from a conversation at work about what tech would best suit a vigilante crime fighter. [Jair2k4] suggested taser gloves, which drew a laugh, but also stuck in his mind. His prototype takes advantage of the flash circuitry from a disposable camera to step up battery voltage all the way up to 300 volts. The gloves he’s using are rubberized fishing gloves which help ensure that he doesn’t shock himself. Wire travels from the capacitor to conductors sewn into the fingers and thumb of the gloves He’s got video embedded on his post that shows the bright spark and loud zap of a discharge when the conductors get close to one another. Altoids tins lined with electrical tape house the hardware, with a momentary push button used to charge the devices. Hopefully criminals will not mind waiting for you to charge your weapons before they attack. But then again, [Jack Buffington’s] own version of a taser glove had the same issue. That one used conductors on the knuckle side of the glove, and involved long wires tethering the glove to a belt pack. Locating that back as a bracelet is a nice improvement on the idea. [Heli] had a WRT300N wireless router sitting around collecting dust. He decided to squeeze at bit more entertainment value out of it by seeing if he could pull off a RAM upgrade. He managed to double the router’s RAM and posted a walk through (translated) to help you do the same. Swapping out surface mount RAM chips isn’t the easiest thing in the world and you must wondering what prompted this. It seems he wanted to run the LuCI package on the router but it was slow (or even incapable) of booting with the stock hardware’s 16 Mb. 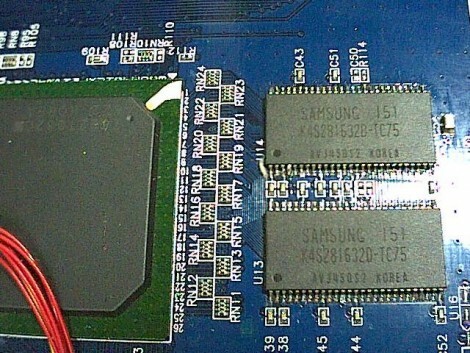 He first sourced some pin-compatible replacement chips from an old Pentium III computer. While his soldering iron was hot, he also wired up a JTAG header, which connects via the red wires just visible to the left. When he first fired up the unit he was happy that it was able to boot, but it still only detected 16 Mb. It turns out you’re going to need to roll your own kernel to get it to take advantage of the upgrade. Source code for OpenWRT is easy to find and there’s plenty of guides for compiling it. If you try this, make sure to read [Heli’s] post carefully as he’s got some important configuration information that will help you to avoid bricking your router. [Knife141] built an impressive animatronic head. He uses it mostly for volunteer activities, like getting school children excited about technology. 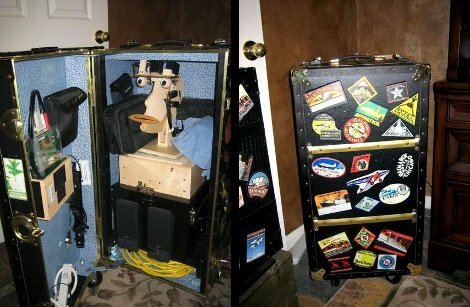 He built a carrying trunk that fits the puppet just right, making it easy to store and to transport. He started by making the parts for the head out of cardboard to make sure they would fit together and operate properly. These were then used as templates to cut the pieces out of half-inch plywood. 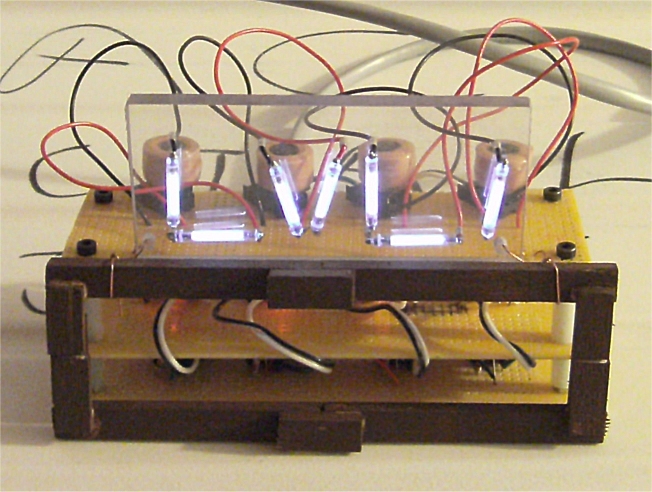 A series of servos, connected either directly or with linking rods, move the mouth, eyes, eyelids, eyebrows and neck via a servo controller board. Sound is played by a single-board computer called a RAPU via a pair of computer speakers. This board is also what sends commands to the servo controller. When [Knife141] wants to create a new act for the animatronics, he starts by writing the dialog and having a text-to-speech program turn it into an MP3. He then goes through the tedious process of choreographing the puppet to the dialog, a process that generally takes him an hour for each minute of run-time. It’s worth it though, see for yourself by watching one of his acts in the video after the break. Looking for something a little bit more your speed? Check out this animatronic head which you can build in no time. You know we’re all going to starve, right? If the world’s population keeps growing exponentially and food production grows linearly, we’re eventually going to find out what Soylent Green is made of. This is where [David Dorhout]’s Prospero robot farmer comes in. [David] has come up with the idea of using small autonomous robots to plant, tend and harvest fields. Right now, he’s working on stage 1: planting seeds. A swarm of six-legged Prospero robots are dispatched to a field. There, each member of the swarm plants seeds one at a time. The robots keep in contact with each other over a wireless connection to ensure the optimal planting pattern for an entire field. The Prospero prototype is based on the Parallax Propeller with a Ping ultrasonic sensor used to avoid obstacles. Each hexapod is equipped with a bunch of seeds, a small auger, and a supply of fertilizer for the future corn plant. The next step in the plan is to build a ‘tending’ robot that will monitor and apply nutrients if needed. Check out the Prospero video after the break. If you’ve ever wondered about the best way to detect dial and DTMF tones from a phone line, [Debraj] is your man. [Debraj] built a DTMF detector using the Goertzel algorithm. Normally, when we think about detecting tones, we pull FFT out of our bag of tricks. The Goertzel algorithm isn’t as computationally complex as FFT and can be implemented on even the smallest microcontrollers. For the build, the first thing to solder is a nice audio transformer and some protection diodes. 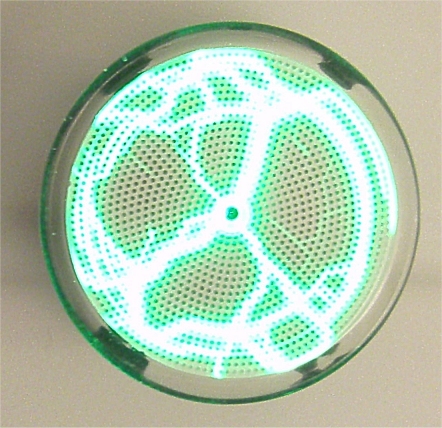 The ring tone from a phone line goes from +35 V to -35 V – a bit more than a microcontroller could handle. A PIC18F4520 dev board was used as the brain of the system with all the code is available on [Debraj]’s site. Although implementations of the Goertzel algorithm are a little uncommon, [Debraj] has seen a few interesting projects using this technique. [Debraj]’s build could easily be modified into a guitar tuner with a few changes in the code, for example.